Titch is the youngest and smallest in his family. His brother Pete and his sister Mary have bigger bikes, kites that fly higher, and instruments that make bigger noises. But when Titch plants a tiny seed, they all find that starting off small is just the first stage of growing. 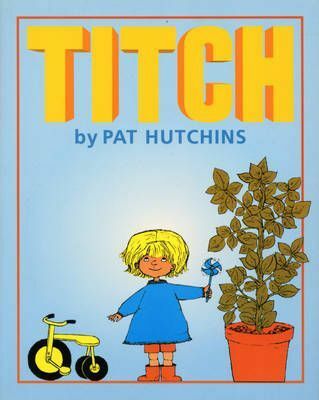 A TITCH storybook by award winning author, Pat Hutchins. Titch is the smallest and the youngest in his family. His brother Pete and his sister Mary have bigger biokes than Titch, kites that fly high-up in the sky and instruments that make much BIGGER noises. But when Titch plants a tiny seed thay all find out that starting off small is just the first stage of GROWING!! !